Tile markets a whole series of Bluetooth trackers. The Mate model is the most economical one since it only costs $19. If you buy several, the manufacturer offers discounts on its site. For example, the set of 4 is just $37. The Sport model costs almost double, with a regular price of $34. For this price, the tracker is waterproof with IP68 certification (up to 1.5 meters deep for 30 minutes max) and also offers a longer range (60 meters). Of the two models we tested, the Tile Mate is the one with the smallest format. It takes the appearance of a small square (34 x 34 mm), all in plastic, with a hole drilled in a corner let it hang on a key ring. Its thickness (4.65 mm) also allows it to be placed within a wallet. However, the manufacturer also markets a Slim version (2.65 mm thick) more adapted to this type of use. In both cases, expect to have a little more to pocket. The Tile Sport is larger (40 x 40 mm), thicker (5.9 mm) and heavier (15 grams vs. 6.1 grams) than the Mate. Its brown color also makes it (but this is only my opinion) a little more discreet, more elegant and less apt to look dirty after using it for a while. The Tile logo quickly fades on the Mate. The Sport is also more resistant to the hazards of everyday life with its black metal frame and IP68 resistance, with the Mate only receiving an IP57 certification against splashing water (rain). In the center, on both models, there is a round button that triggers an alarm on your smartphone, no matter if it is on silent mode or vibrate . This alarm works if your Tile is located near your mobile (30 meters for the Mate, 60 for the Sport). Your phone will continue ringing until you turn on the smartphone or click on the notification. It would have been nice to be able to turn off the ringing right from the Tile, because it's annoying to have to find your phone when you accidentally bump the button. This happened to me several times. 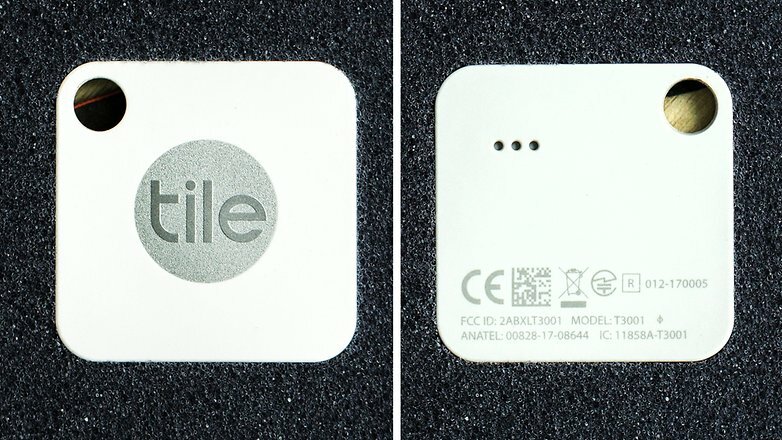 Although both models of Tile can be used to find your smartphone, it is mainly the opposite function that is interesting: finding your keys or wallet. To do this, you need to download and install the free Tile app. It works with all Android smartphones equipped with at least Android KitKat 4.4 (and Bluetooth 4.0), and iOS. After creating your account, you will need to register your tracker. The procedure is the same for all devices by the manufacturer. The pairing is very easy and the application, thanks to its clear interface, is a breeze to use. From the app, you can ring the Tile to locate it. I have never had a unpleasant surprise from it. The ringer (8-bit), although strident, is as effective on the Mate (88 decibels) as on the Sport (98 decibels). If the little tune annoys you, Tile lets you choose between 8 melodies. Finally, it is also possible to locate your device on a map. Tile also offers the ability to view the location of your device from the website. 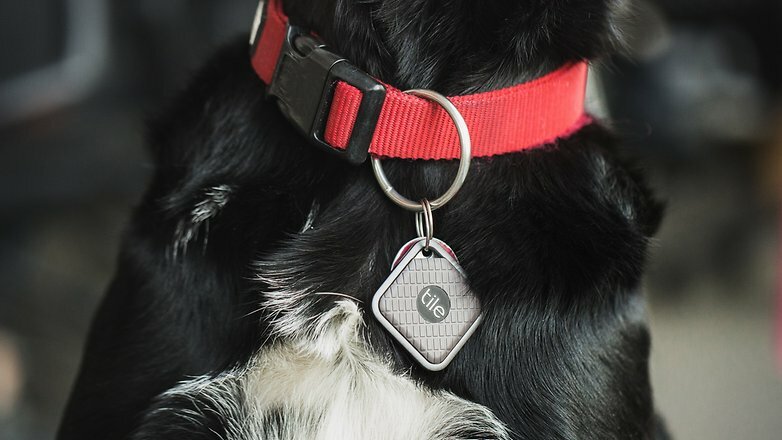 In the event that you lost your keys or your wallet at a distance greater than the Bluetooth range of the devices, Tile has a solution: the community. Specifically, each user participates in the geolocation of all Tiles in the world. 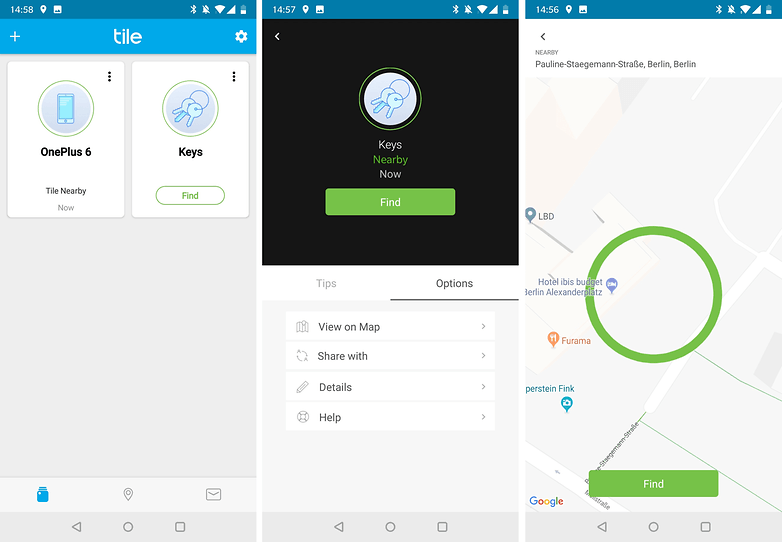 When a Tile user passes by your device, Tile will use that person to update your Tile's location and will let you know by notification and email. The advantage is that this feature is completely free and anonymous. The disadvantage is that the community is still small (about 8 million people) and that the possibilities to find your keys or your wallet are pretty thin. In addition, for families or couples, it is possible to match a Tile with another user by indicating his or her email address. Thus, they can also ring the Tile if it is nearby. Finally, the biggest drawback of the Tile Mate and Sport is their disposable character . Indeed, the devices offer only one year of battery life (from the date of shipment). The manufacturer offers no way to change the battery of the devices. It's a shame because it's basically a kind of disguised annual subscription. At the end of the year, Tile sends a reminder by email prompting you to replace it. 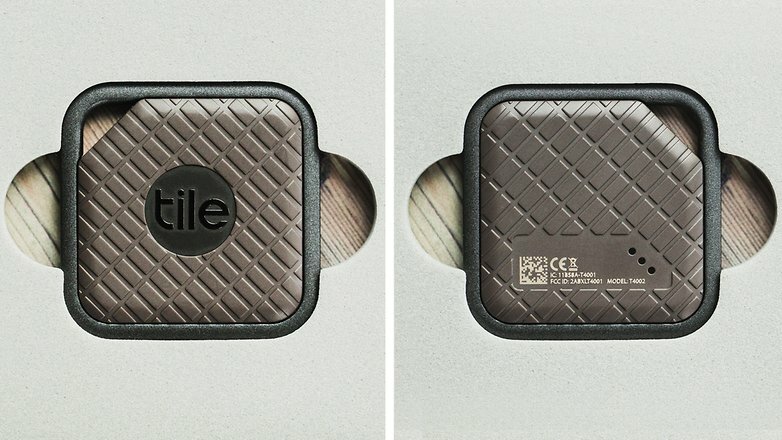 It has a recycling program called reTile that tells you all the ways to recycle your device. You can then order a new device at a reduced price (up to 50% sometimes). 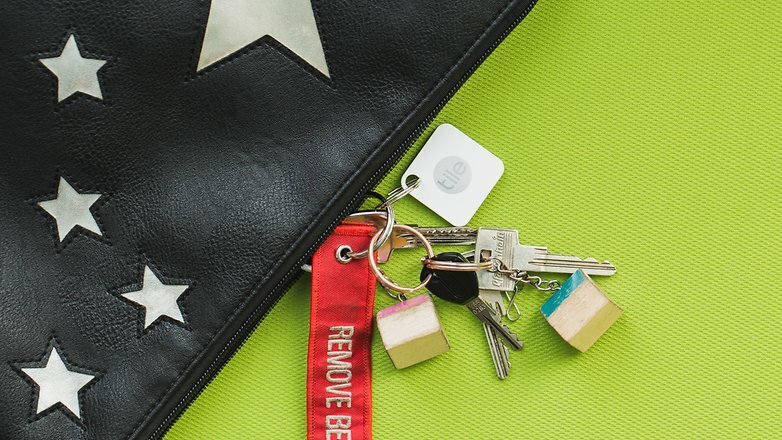 The Tile Mate and Sport are particularly effective trackers for finding your keys or wallet. From setting it up to daily use, the Tile devices are perfectly in line with expectations. The only drawbacks are their limited lifespans and disposable character. Finally, though the Tile Sport offers some additional advantages (better resistance to water, greater range), its additional cost is hardly justified when compared to the Mate.